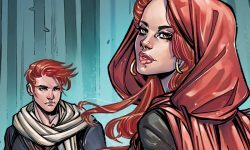 Home Posts tagged "blossoms 666"
“All this time, we were triplets instead of twins.” In the upcoming third issue of the hit Archie Horror series, BLOSSOMS 666, Cheryl and Jason Blossom discover a dangerous family secret that could drastically affect their plans to corrupt Betty Cooper! 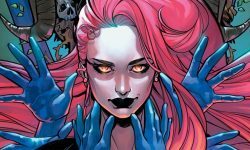 “Betty Cooper might prove to be a problem…” In the next issue of the hit Archie Horror series, the Blossom twins enter into a sinister competition to prove themselves worthy of the throne of Hell. The critically acclaimed debut issue of the newest hit Archie Horror series BLOSSOMS 666 has sold out at Diamond Comic Distributors and is going back to print with an all new cover by Francesco Francavilla! 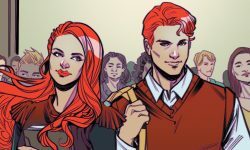 Cheryl and Jason Blossom are a pair of seemingly normal kids in Riverdale. They’re wealthy, popular and likable—but they also harbor a deep, dark secret—one of the Blossom Twins is the Anti-Christ. Both want the title, and no one in Riverdale is safe. 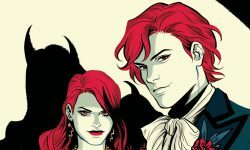 Two new Archie Horror mini-series launch in 2019!